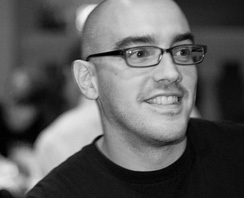 Dave McClure the infamous Sith Lord of 500 startups and huge advocate for startups globally, will be the keynote speaker at Pubcon 2013 in New Orleans. The conference focuses on social media and search and is hosted at the state of the art New Orleans Convention Center. McClure will discuss his vast experience helping to grow and cultivate startups. In addition to being the founding partner at 500 startups he also hosts regular Silicon Valley meetups called Startup2Startup and of course Geeks On A Plane. To date McClure has invested in over 250 startup companies through his 500 Startups fund and their Mountain View based accelerator program which goes out of it’s way to attract talent worldwide. Some of his investments include MakerBot, TaskRabbit, SlideShare,Mint.com and Twillio. McClure’s experience spans two decades including serving as PayPal’s Director of Marketing from 2001 thru 2004. While in that role he launched the now infamous PayPal Developer Network. He’s also worked with other well known companies like Facebook, LinkedIn, O’Reilly Media, Intel and Microsoft. “We’re thrilled to feature Dave McClure as a keynote speaker at Pubcon New Orleans 2013, where his unique spin on the role of social media and optimization in Internet startups will make for a fascinating and insightful presentation,” said Brett Tabke, founder and chief executive of Pubcon. Michael Slaby, the Obama For America Chief Integration and Innovation Officer, will kick off Pubcon. In addition to playing a major role in the 2008 Obama campaign, Slaby has also served as the digital global practice chair at Edelman and chief technology strategist at Tomorrow Ventures, Eric Schmidt’s venture capital fund. Pubcon promises to announce more high profile speakers in the coming weeks.